We need your help with our meetings! If you know of a good venue for a meeting, please let us know. It would be great to have a kitchen with cups and a kettle. If it is in London it would be good if public transport was not too far away. We always need ideas for meeting topics. Even if you only have a smidgen of an idea it might fit in with another item we have thought of before but does not fill a whole day. If you are up for organising a whole meeting yourself, perhaps at a venue local to you, then let us know. We can give you some guidance on where to start. We always have a 'Bargain Bin' at the Early Music Exhibition in Greenwich which attracts a lot of interest and usually pays for the cost of the stand. (iii) Transfer money into the VdGS bank account, giving it the reference 'donation' (and your name if you can/want): Account name: Viola da Gamba Society | Bank: Lloyds Bank | bank address: 2 Pavement, York YO1 2NE | account number: 01120409 | sort code: 30-99-99 | International payments: BIC LOYDGB21225 | IBAN GB05 LOYD 3099 9901 1204 09. It would help us if you could let us know if you we are able to claim Gift Aid on your donation (if you are a UK Tax payer). Please download a GiftAid form. GiftAid helps us recover a small amount from the Inland Revenue. You can also leave the VdGS a sum in your will. 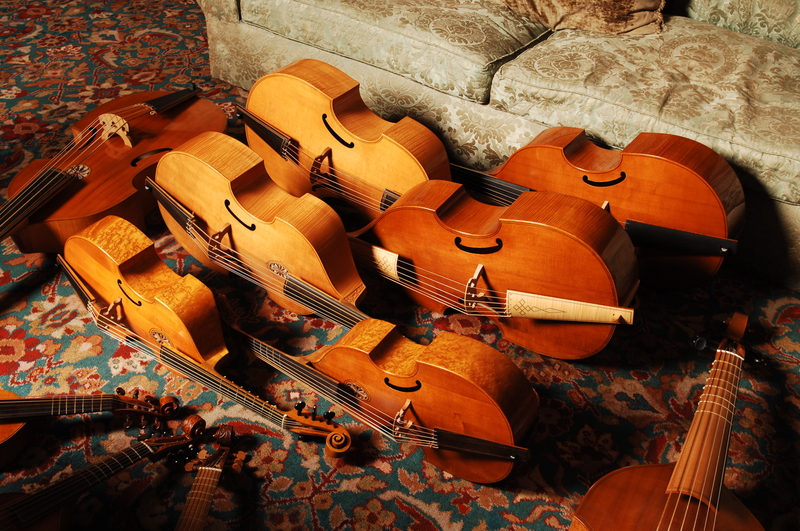 We always need instruments, bows and cases for our Viol Hire scheme. Please contact Bridgewood & Neitzert if you are thinking of donating such items to the VdGS. You can also lend the instrument to us for our Hire Scheme. This fund gives awards to mainly young players to attend viol courses and is entirely dependant on donations. Donations don't always have to be in pure money form, such as putting the JDMF in your will. Any donations to the fund need to be specified as such, as general donations simply go to the VdGS (this could be 2nd hand music as well!). We always need helpers for the annual Early Music Exhibition (free ticket if you can!). This could be as simple as helping to unload the day before it all starts, or actually being at the stand, even if it's only for a few hours. You do not need to be hugely knowledgeable to do this, a friendly face for the Society is already really helpful. If you can help with the Try-A-Viol bit at the stand, even if it's only for an hour or so, do come forward. It's quite simple - people hover and look interested, but are too shy to try a shiny new viol from another stand. They then sit down, in the ocean of noise made mainly by shaums and bagpipes, and get an idea of what it feels like to hold a viol. All that's needed in terms of guidance is how to hold the bow and what the strings are called, plus send them away with a leaflet in the knowledge that viol players are approachable and friendly.